Austria’s Sarah Schober is delighted the waiting is finally over to record her first win on the LET Access Series. Although the 26-year-old topped the 2016 LETAS ranking, she was winless throughout the year, finishing as a runner-up five times. 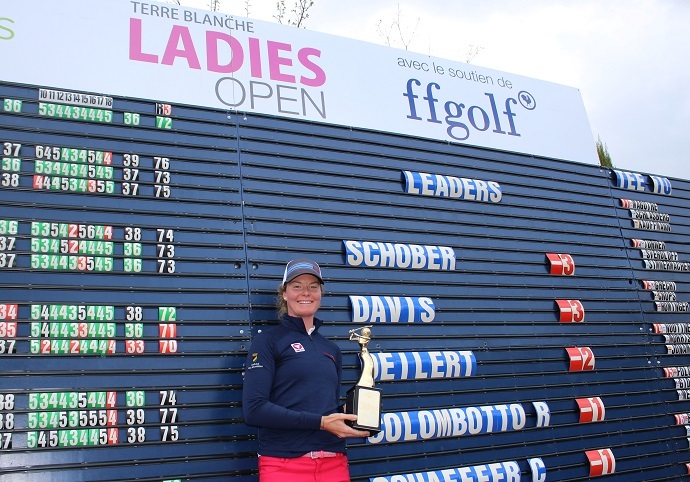 Schober had to endure a play-off against overnight leader Hayley Davis in order to claim that elusive title and admitted to thinking that she may be the bridesmaid again in the Terre Blanche Ladies Open at the spectacular Terre Blanche Resort in Tourrettes, France. The Austrian started the final day two shots behind Davis, at three under par after putting herself in contention with rounds of 71 and 70. Fortunately, both players were in the final group, alongside France’s Valentine Derrey, and able to keep an eye on each other over the homeward stretch. It was Davis who stumbled over the closing holes. A bogey on the short 16th, followed by an errant drive on the par four 17th resulting in another bogey, and the Englishwoman found herself one shot behind Schober. Both players hit the final green in two at the par 5, 18th and it was Davis who bounced back with a two-putt birdie after Schober had three putted from around 10 metres. Davis shot a closing 74 to Schober’s 72. They headed back down the 18th with Davis playing first into the green. Unfortunately, the 26-year-old found a rocky area right of the green close to the water. Meanwhile, Schober found the green, with a similar putt to that of the one she had on her 54th hole. Davis decided to play rather than take a drop, playing a great shot to just left of the green. Schober made no mistake this time around, rolling her first putt up to tap-in distance. The Austrian was both relieved and elated to have her first win under her belt. “My putting was pretty consistent, especially yesterday and today because I did some adjustments on the first day so it worked out really well and I hit quite a few fairways as well, which was really helpful. It’s kind of a relief to get the first one out and especially after 2016 when I was five times second. I was thinking about it today and I just wanted to get it done, so I’m very happy I did. We were kind of very close and Hayley was playing really well and I just tried to keep up with her and also focus on my game.  At the end it was very good,” commented Schober. Schober’s next event will be the LET’s Lalla Meryem Cup in a few weeks’ time. Davis, who narrowly missed out on earning her LET card via LETAS last year, will also have the opportunity to play in the event after receiving an invitation from the event promoter, ATH. Sweden’s Isabelle Deilert finished in third place on her own after a closing 70, and a two under par total of 214. France’s Jade Schaeffer-Calmels and Lucrezia Colombotto Ross tied for 4th place at one under par, as they closed with 70 and 71 respectively. Schober will lead both the LETAS Order of Merit and the Road to La Largue, the season long race to the LETAS grand final in October, which will feature the top 55 players from the Order of Merit. 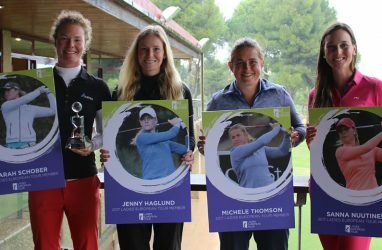 Five qualifying players from the Rügenwalder Mühle Ladies Open, and three amateur invitations.